The primary mission of the Der Pharma Chemica is to become the premier source of high quality research from whole of the world. All authors not only receive fast and comprehensive peer-review but also the article promotion to researchers working in the same field. 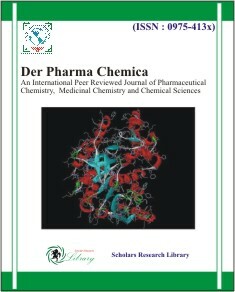 Der Pharma Chemica A is peer-reviewed and is published in electronic version. The language of the Der Pharma Chemica is English. 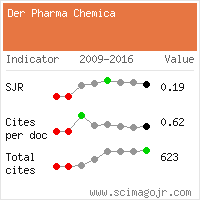 Der Pharma Chemica publishes research and review articles, rapid and short communication and book reviews. The current emphasis of the journal includes (but is not limited to) the following areas: medicinal chemistry,pharmaceutical chemistry and computational chemistry. Der Pharma Chemica publishes all its articles in full open access format which are easily accessible for scientific community. Researchers have free and unlimited access to the full-text of articles published in Scholars Research Library Journals ie Readers can access the published articles freely without login and password. It gives the author’s research high visibility, availability and more citations.